J.K. Rowling’s Harry Potter series is the best-selling book series in history, having sold over 450 million copies in 67 different languages. While not dyslexic herself, Rowling has shown her support for dyslexics by contributing generously to the United Kingdom’s biggest dyslexia charity, Dyslexia Action. 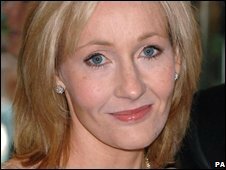 Rowling has supported the charity for several years now, having written an 800-word prequel to the Potter series back in 2008. Rowling, along with 13 other prominent authors, wrote short stories to be auctioned off so that all proceeds would go to English PEN, a group that promotes understanding through literature, and Dyslexia Action. Rowling’s other Potter-related work, The Tales of Beedle the Bard raised £1.95m (2,569,442.19 USD).